We have many years of experience of designing control systems and of machine safety based on numerous completed projects. 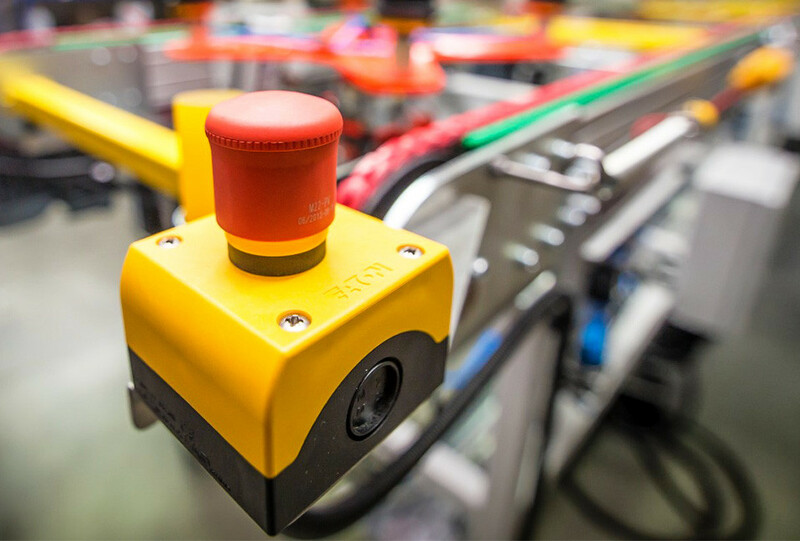 A high level of machine safety is a key factor in the overall plant performance and safety of employees involved in the production process. Thanks to the implementation of modern solutions in the field of machine design and safety assessment, we provide a comprehensive offer tailored to the needs and requirements of each customer. The risk assessment regarding machines indicates the state of hazards generated by a machine in specific engineering solutions and proposes appropriate protective measures to prevent these hazards. Thanks to our extensive experience we are able to offer you the highest level of machine safety as designed by our specialists. We provide customised designs of production machines and equipment. The risk assessment regarding machines and devices manufactured by Armex is always suitably adapted to the characteristics of our Customer’s facility. Our machine designs are enriched with a comprehensive risk analysis, thanks to which from the very beginning you will be made aware of potential undesirable situations that may occur when implementing a machine in the company environment. The analysis and risk assessment carried out on machinery also allows for more sophisticated modernisation of the industrial plant and safe improvement of its efficiency.